The unrivaled queen of Turkish pop music, Demet Akalın, has impacted our lives yet again with another collection of ultra catchy bops! Rakipsiz is the deep voiced diva’s tenth studio album, where she shows exactly why she is ‘unrivaled’ with sixteen expertly crafted pop treasures covering love, loss and life. Demet kicks things off with the haunting “Hayalet“, just one of the record’s many stomping ~heartbreak on the dance floor~ moments. She keeps the party going with big EDM tracks like “Nazar (Evil Eye)”, “Damga Damga (Stamp Stamp)”, “Kaybedenler Kulübü (Loser’s Club)” and “Hürmetler (Respect)“, proving that the bops seriously came in abundance this time. “Rakipsiz“, the album’s shining moment, sits proudly alongside her previous title tracks and massive pop anthems “Pirlanta“, “Rekor” and “Giderli Sarkilar“. These are really the moments which encapsulate the true Demet Akalın experience – thumping dance beats, frustratingly infectious melodies and, of course, Akalın’s trademark commanding, heartfelt vocals. There are a few more authentically Turkish moments during Rakipsiz‘s 59 minutes. 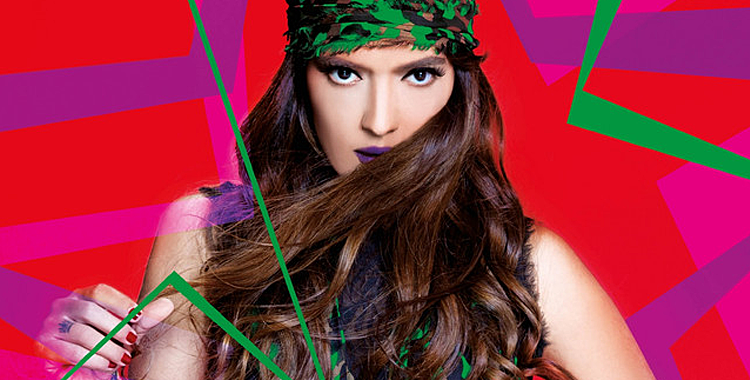 The cinematic strings, thundering drums and theatrical vocals of the ballad “Cinayet (Murder)“, as well as the playful and sassy Turkish-dance tracks “Ah Ulan Sevda” and “Vereceksen Ver (Give It to Me)”, are evidence that Akalın not only brings Western inspired bangers, but also floorfillers which stay true to her Turkish heritage. While Rakipsiz is a strong body of work, it doesn’t hit as hard as 2015’s Pirlanta, which soared the singer’s career to new heights thanks to the two monstrously successful singles “Gölge (Shadow)” and “Çalkala (Shake)“. Nothing on Rakipsiz feels as iconic as the pitch-bending synths in “Gölge” or the horrifically catchy flutes of “Çalkala”‘s chorus. However, Rakipsiz shows that Demet Akalın understands her sound and her brand, and that her biggest talent is being able to bring an album jam packed with potential hits – Demet Akalın is, quite simply, unrivaled. No comment on the garish album art.